Burch Propane proudly serves the residents and businesses of Southern Maryland’s St. Mary’s County, Calvert County, and Charles County. We offer quality propane delivery and professional HVAC services that you have come to expect with the name “Burch.” We sell, install, maintain, and repair residential heating equipment, water heaters, generators, and a variety of commercial heating equipment. Burch Propane’s service area includes the following counties: St. Mary’s County, Calvert County, and Charles County. If your town or community is listed below, contact us for dependable propane service. 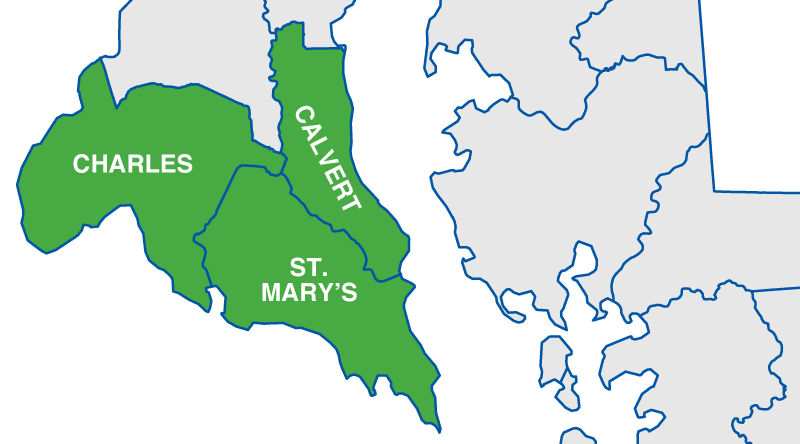 We proudly serve all of St. Mary's, Calvert, and Charles Counties in Southern Maryland.